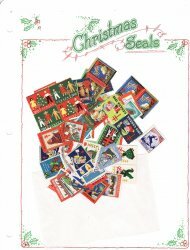 Album Pages: Saint Crispen Christmas Seal Stamp Album pages printed on 8.5x11" acid free 67 lb. 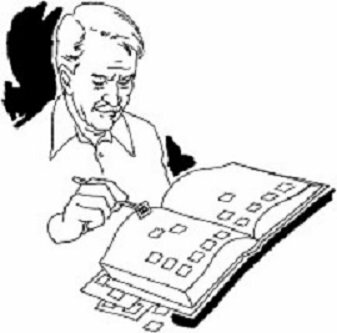 ivory or white card stock, round corners. fifteen (15) pages which are punched for a three ring binder.